Wisdom Way Martial Arts' all-inclusive tuition rates are roughly 20% below the industry average of $200 monthly for only two weekly 45-minute classes. Monthly tuition for individuals is $159, while monthly tuition for families of two or more immediate family members is $279. These rates include unlimited class sessions each month. And while most martial arts studios charge an additional $60 - $100 (or more) for each belt rank exam, Wisdom Way Martial Arts has never - and will never - charge for a rank exam - not even for Black Belt. 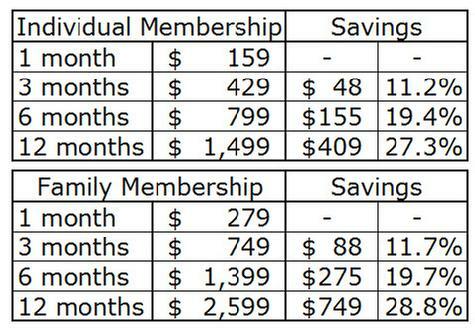 Please note that generous discounts are available for our 3-month, 6-month, and 12-month memberships. And PayPal members already know that they can enjoy six months interest free financing by utilizing PayPal's Bill Me Later option. We didn't get into this business to make a living. We got into this business to make a difference!